Forgiveness is absolutely crucial, if there is to be any peace of mind or harmony in this world. If we cannot forgive then there is no possibility of any relationships surviving at any level. Even health research has proved how maintaining the qualities of resentment, hatred and vengefulness can create deterioration in every aspect of our life. If we were to pick a burning, hot ember of coal in our hands and hold on it day after day, week after week, year after year with the intention of throwing it at our object of our abuse, then who would suffer? By holding on to that burning fire, in fact, we are torturing ourselves. If we keep that burning coal in our heart, it will burn to ashes all our virtues, spiritual qualities and will make us simply miserable. If we withhold the free choice to forgive someone, then we simply remain a victim of whoever has hurt us or abused us. As we give the gift of forgiveness, we’re healed. According to the great saints of all traditions, love can be defined as the capacity to endlessly forgive; Forgiveness actually means to be well-wishers of our persecutors, and think in terms of their welfare. One great thinker has said that if we do not forgive we are breaking the bridge, which we must cross in order to be forgiven for all of the improper things that we have done. In the new treatment of the Christian scripture, Lord Jesus Christ in teaching his devotees how to pry taught, “My Lord please forgive me as I have forgiven others who have trespassed me. “When he was on the crucifix beaten, tortured and blasphemed, just before he entered into a state of Samadhi, his last prayer was- “My dear Father, please forgive them for they know not what they do.” This is the spiritual principal one should ideally follow. It is said that forgiveness is the fragrance that a sweet smelling flower like a rose or a violet leaves on the heel that has just crushed it. However opponents of this ideology will state how easy it is to talk about forgiveness theoretically, but can one be forgiving when our mind and hearts are turmoil over various apparent injustices to ourselves. It is important that we understand, on a philosophical level, the phenomena that is taking place. The Bhagavad Gita explains that there are eight principal categories of elements within this material nature from the gross elements to the subtle elements- earth, water, fire, air and ether, which compose the gross body. The subtle body, which cannot be perceived in anyway by the senses but still exists, comprises of the mind, the intelligence and ahankara- the false ego. Then there is the higher nature- the jivatma- the soul, which is the source of life, the source of consciousness that animates and witnesses through this body. We are that eternal soul and we cannot be burnt by that fire, cannot be withered by the wind, cannot be drowned by water, cannot be disturbed by words, and cannot into pieces by any weapons. It is simply an illusion and an untruth that makes us take seriously the ‘phenomenal’ events that come upon our mind, body and ego. These in reality have nothing to do with us. But as conditioned souls, we are habituated to enjoy through this body and therefore any infliction that interferes with enjoyment of the body, mind and ego causes us terrible pain. In the beginning, we may forgive on a superficial platform but actual forgiveness comes from the heart and that may take time. The Lord understands our intentions and purpose even if we don’t have the power or ability to forgive with ease. We may be too hurt to forgive but we know that by forgiving we will be relieved of the poison of this hatred or resentment or guilt. We will be forgiven if we forgive. So we will try not to inflict our ill will upon that person but we pray to be relieved of this disease, and try to cleanse our hearts through prayer and chanting God’s names. Thank you Radhanath Swami for explaining how forgiveness is so important for our spiritual survival. An absolutely amazing way to describe forgiveness- ‘ the smell a rose leaves on the heels that has just crushed it’. Truely inspirational. Thank you Maharaj for explaining so nicely how to forgive others and remove the poison my our heart and simply pray to Lord to relieve from these disease. Wonderful quote given by Maharaj. Many thanks to Radhanath swami for these wonderful articles. They are very uplifting and can help one solve the many problems of this mortal world. Thank you HH Radhanath swami for explaining us importance of forgiveness and effects we will face when we will not have that forgiving nature. 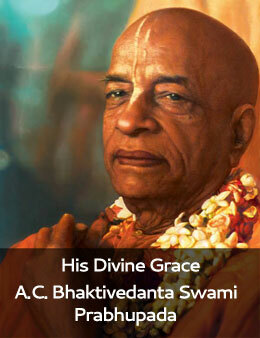 HH Radhanath Maharaj ki jai!!! Nice article by HH.Radhanath Swamiji.Swamiji always quote that “the extent which you forgive others,God forgives them to that extent”.Also nice analogy of a hot ember of coal holding in our hand to throw at our aobject of hate.Such action is going to hurt us only.Thank you Swamiji for your good advice to us. Forgiving made simple by Radhanath swami- So we will try not to inflict our ill will upon that person but we pray to be relieved of this disease, and try to cleanse our hearts through prayer and chanting God’s names. If we cannot forgive then there is no possibility of any relationships surviving at any level. This is very true. Amazing article. Hare Krsna ! Very Nice .Jay Sri Radhanath Swami Maharaj ! Very nicely explained by Radhanath Maharaj ! .hare Krsna ! Wonderful explanation as to how forgiveness is absolutely essential to spiritual life. Forgiveness is one of the most important traits to be developed to progress in our spiritual lives. Without that there can be no peace and harmony in our lives. It is very difficult to forgive. But if we make the effort, Krishna will help us. Forgiveness will cleanse our hearts and we can make rapid spiritual progress. Forgiveness actually means to be well-wishers of our persecutors, and think in terms of their welfare. So dificult to practice but we should sincerely try our best to follow this principle. We will be forgiven only if we forgive. Very true! It’s very difficult to give up grudges and forgive others, but if we make the effort, Krishna will give us the courage and strength to do so which in turn will relieve us of our burdens and allow others to forgive us. Very important to develop the quality of forgiveness, which can heal others and ourselves too. Forgiveness is absolutely crucial, if there is to be any peace of mind or harmony in this world. If we cannot forgive then there is no possibility of any relationships surviving at any level – very true!